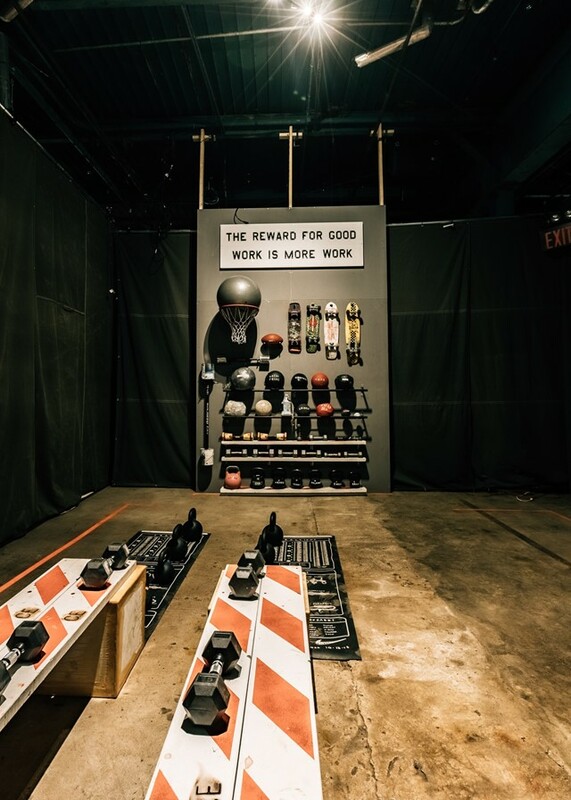 There aren’t many multi-national sportswear corporations who would team up with an artist like Tom Sachs, the space-obsessed American sculptor best known for his DIY approach to immersive installations, to create an interactive Space Camp on Governor’s Island. But then, the ongoing relationship Sachs shares with Nike is an especially rarefied one, honed over many years of shared projects and through a mutual fascination with innovation and transparency. Launched in celebration of the NikeCraft Mars Yard 2.0 shoe, an updated and improved version of a pair of trainers created through a collaboration between the artist and Nike five years ago, the camp is a kind of public-facing version of a bootcamp Sachs already holds three times weekly in his own studio. With a routine designed by fitness guru Pat Manocchia of La Palestra, which comprises core-strengthening exercises teamed with mental skills, the entire concept is intended as a means of doing small things to think about bigger ones. And this, funnily enough, is where things get interesting. Through Sachs’ microcosmic study of globalisation, consumerism and discovery, Nike becomes complicit in a powerful experiment in making things better – more transparent, more fair, more empowering. “In way, as I am not a Nike employee, I can use the power of Nike to tell the stories of individuals. I am critical of consumer culture, but I am also an active participant in it.” By reappropriating Nike’s equipment, materials and design prowess for small-runs of human-made goods – all the products made by Nike with Sachs have a defiantly human finish to them, hence the focus on DIY – Sachs seeks to challenge mechanisation, bringing the focus back to the individual. 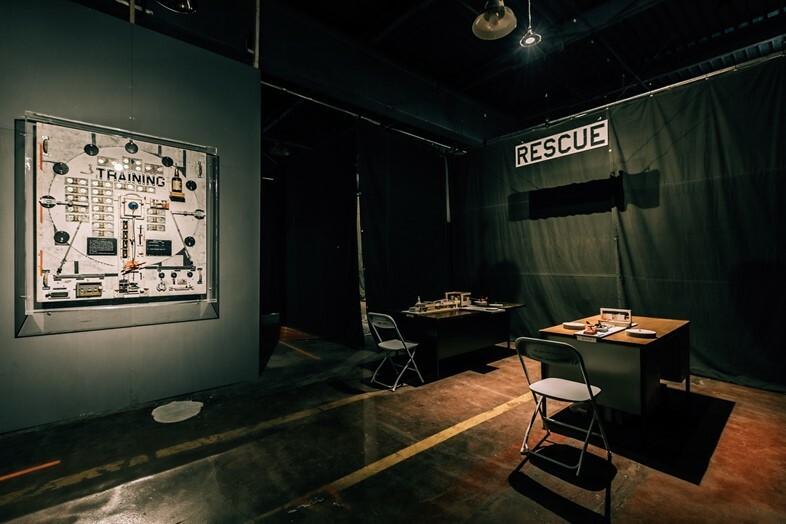 Along with these physical and mental tasks, visitors to Space Camp will be invited to watch The Hero’s Journey, a 40-minute feature film directed by Van Neistat which explores the necessity of failure to personal transformation. “It is the story of a girl who works in an office and who hates her life,” Sachs explains. “She goes through a load of trials where she struggles with learning how to be a good worker and how to master and overcome all her difficulties, and she eventually achieves a sense of mastery and comes back at the end as a teacher… From The Iliad to Clueless to Star Wars, every story is the story of the hero who struggles, fails and then succeeds. I hope you can see it too, because it’s a beautiful thing. It is a heartbreaking story of what it takes to become a champion.” And this, ultimately, is the crux of Sachs’ practice – looking at the political through a personal lens. NYC Space Camp runs until June 18, 2017, on Governor’s Island.